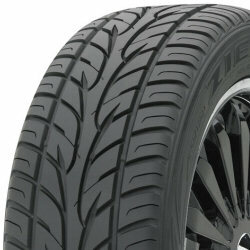 Aggressive, uni-directional tread design and performance. Maintains vehicle load carrying capacity. Rim protection ridge protects wheels from curb damage. Available in 17, 18 & 20 inch rim sizes. H & Z speed rated. 50,000 mile limited treadwear warranty (see manufacturer's website for details).